David Knight explains how the real right and left paradigm shift exists in society today. Amazon has joined Netflix with their own controversial “alternative history” of the Civil War and slavery — as if we didn’t already have enough rewriting of events. But what is the truth they want to hide? Owen Shroyer and David Knight dissect how President Donald Trump has worked to overturn the support system created by President Obama to ensure ISIS was armed for their endeavors. CNN used an English propagandist for Al Qaeda (also known as ISIS) to give them access to Al Qaeda held areas in Syria. Not surprisingly the documentary pushed for regime change in Syria and blamed Russia and Syria, not ISIS or Al Qaeda, for Aleppo. 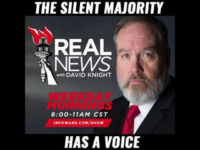 David Knight explains how the Sarin Gas false flags used to demonize Assad and push President Trump into a Middle East war, are likely to make a comeback under General H.R. McMaster. 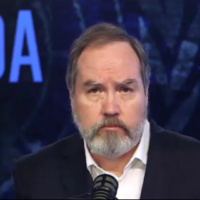 David Knight details how Neocons within the American government are supporting ISIS while simultaneously pushing for war with the Syrian government to maintain their political power in the region. David Knight explains how Jeh Johnson has helped to push the lie that Russia hacked the American 2016 Presidential Election and physically altered votes although no physical proof exists to date. Will Trump’s DOJ Stand Down While Arpaio Is Tried For Enforcing Law & Fannie/Freddie Are Robbed? 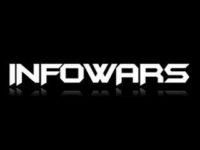 InfoWars’ Washington Bureau Chief, Dr. Jerome Corsi, on hearings that may steal from Fannie/Freddie mortgage investors and turn the money over to Wall Street Banks. What are the implications for 30 yr mortgages and for ObamaCare subsidies that have been funded by robbing Fannie/Freddie assets? What the Guy Fawkes Is Going On?! The government has been destroying the American healthcare system for years, the nail in the coffin was Obamacare. David Knight and William Jasper Discuss how and why big governments across the globe back and benefit from the climate change narrative. It’s looking like deja vu all over again with the worse of the Cold War as massive casualty drills are conducted in NYC — massive casualties because the US doesn’t do Civil Defense. The closest we get are silly propaganda video like “Duck & Cover”. In the past people would have left at the idea of being able to hack a human brain or read their thoughts, but now a new human right has been proposed to protect against just that. 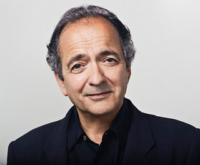 Gerald Celente and David Knight break down what you can expect from the still growing Trump economy. April 25th, 2017 See Also: Cartels’ Control On The Border, Political Correctness or Corruption? David Knight talks with Gerald Celente about whether or not he thinks North Korea is a threat as well as the ongoing, manufactured refugee crisis.